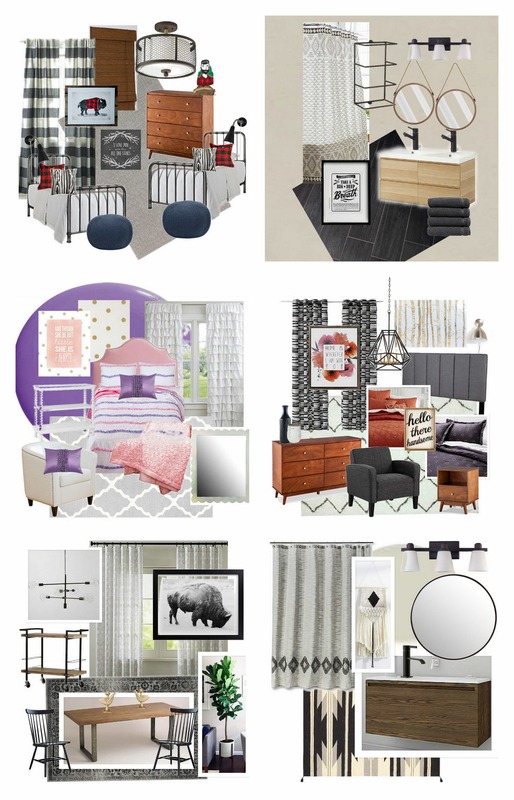 Although I’m not an interior designer, shopping for a space and putting together mood boards is something that I love to do. Because I didn’t go to design school, I never got to learn the technical aspects of design. 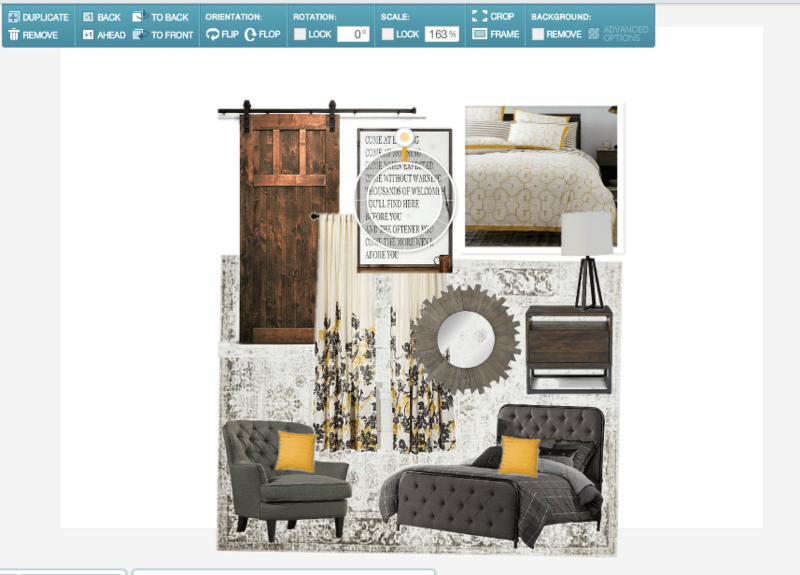 I wanted to learn how to make a mood board, and discovered that Olioboard is the perfect tool for this. It doesn’t require any photoshop skills, and is pretty user friendly. Often readers have asked how I create these mood boards, so today I’ll walk you through how you can create them too. 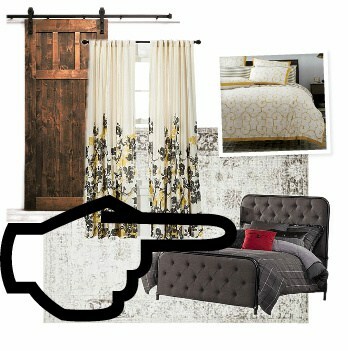 This mood board is one that I created for a client’s guest bedroom a few years ago. I went in and updated it so that it did not include any discontinued items. 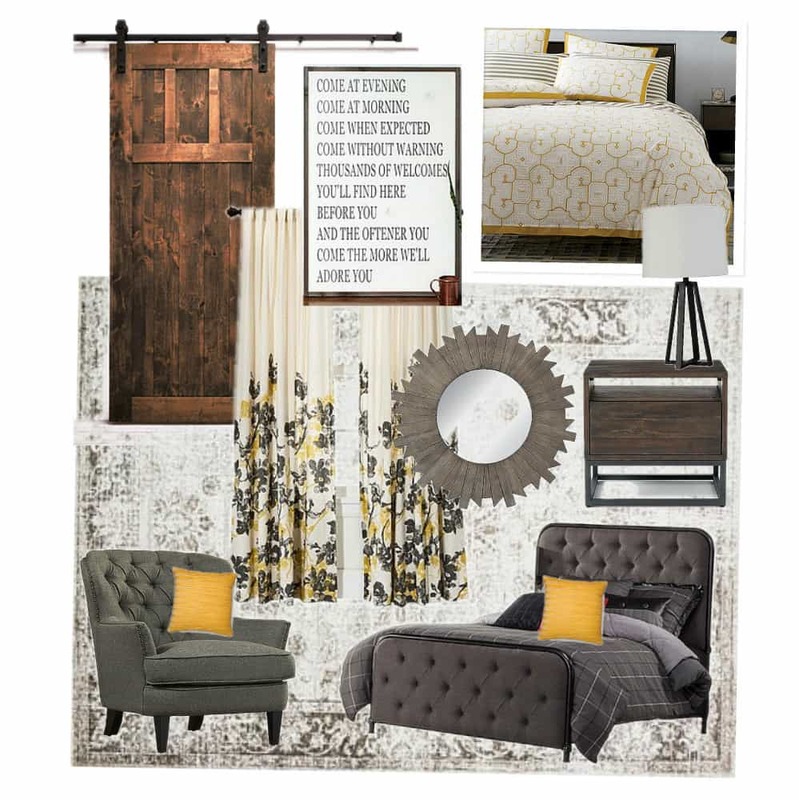 Here are in the links to the items if you’re interested **contains affiliate links**: Bed, Chair, Rug, Bedding, Curtains, Lamp, Mirror, Art Print, Nightstand, Yellow Pillow, Barn Door. Ok, so let’s get started. 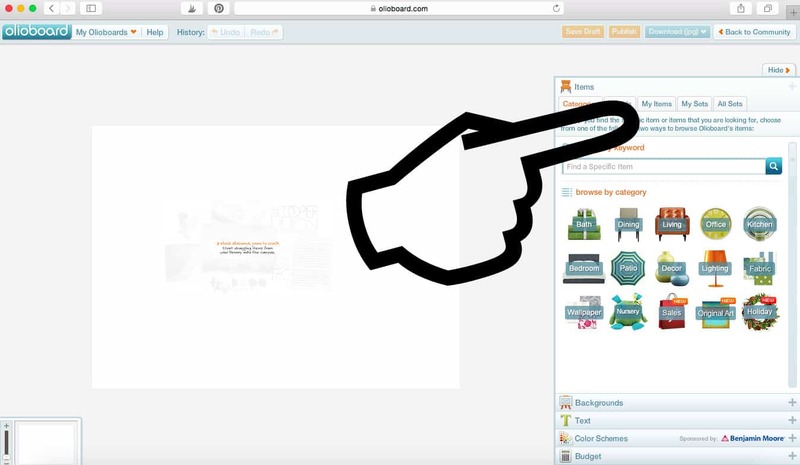 First create a free account at Olioboard. Then click on “+Create”. Once you create a board, your blank board will appear along with the sidebar that includes the items to use in your moodboard. Although there are TONS of images available for you to use, typically I upload the images that I have already saved for the space I’m designing. To do this I click on “My Items”, and then I upload images that I have saved for the mood board. I’ve found that it’s much easier when you can use images that already have a white background. So if you’re saving images for a board, default to saving the ones without anything in the background. Once you have uploaded your images, you’ll have to name them. I don’t fill out any of the other fields, and just give the items basic names. Then you can save these items and they will all be available for you to use. Next it’s as simple as dragging each item onto your blank mood board. Once you drag the items over you can choose to enlarge, rotate, remove backgrounds, add a frame, etc. 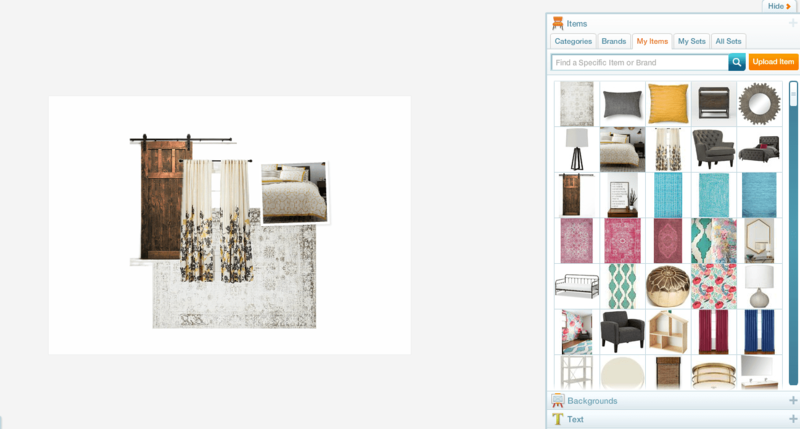 You can see for the moodboard that I created I couldn’t find a stock image of the bedding on a white background. When this happens I just frame the image in a box, and use it in the moodboard framed. You’ll notice the default layout for a moodboard is a horizontal rectangle. I prefer to do square moodboards, so I just use the middle of the space and crop it later. Sometimes, your stock image will have something that doesn’t fit in your board, like this red pillow that was on mine. In order to cover this up, I just dropped a yellow pillow on top of it. The red one is still there, but it is just behind the yellow pillow. As I add more items, I continue to move each item around until I like the layout. In the image above I shared a shot of the toolbar. After selecting an item you can do things like rotate, move it ahead of or behind other items, flip it, duplicate it, or crop it. This is something that is pretty simple to learn once you start playing around with it. 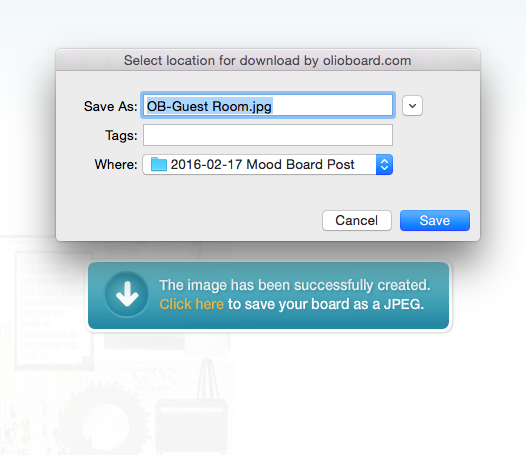 Once you’re happy with your mood board, you can save and download the board as a JPG. After I’ve saved the board, this is when I crop it. Thanks so much for reading! If this post was helpful let me know and I’ll try and share more tips like this! Also if you try Olioboard and have any questions I’m happy to try to help answer them. Thanks! I hope it was helpful! I love using Olioboard. This was awesome! I feel like I can tacos this finally. 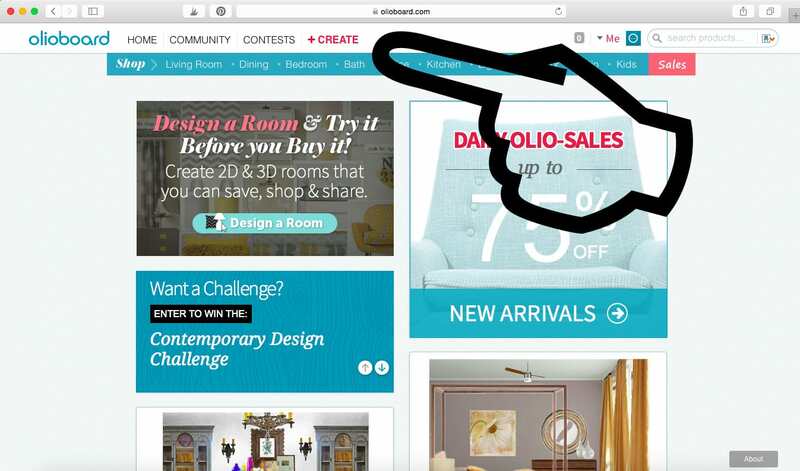 Do the images of furniture/decor in olioboard have sources if I wanted to purchase? Or is that catalog for inspiration/idea only? Thanks! 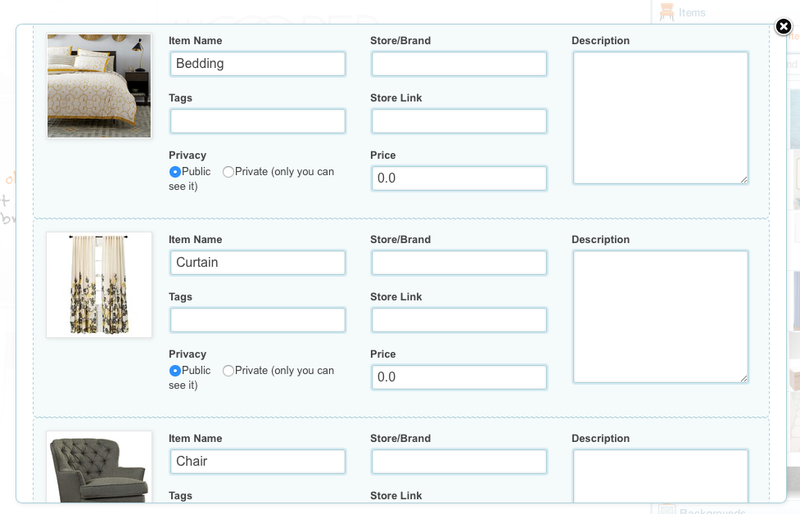 I’ve always done my shopping first, and then uploaded my images into Olioboard, I’ve never searched their database. I just did some checking though and it seems like once you drop the item onto your moodboard there is an option to click on it and shop for that item.